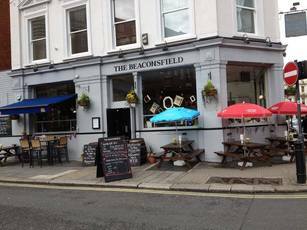 This pub has changed massively over the last couple of months, both inside and out! For the better! 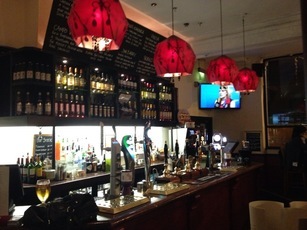 The addition of the Cask Ales and Craft Beers is great and they also now serve a premium Sunday roast. A little bit quirky inside now, which is fab, but they've not gone so far so as to put anyone off. Would definitely recommend this to anyone! A bit tatty, but the single real ale was fine and the food OK whenever I've been. Chirpy southern hemisphere bar staff, off and on, seems to be a tendency. A poor pub. like a dissapointing, small weatherspoons. 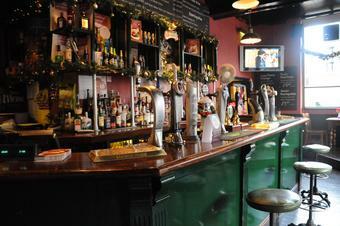 Pretty quiet when I popped in for a pint yesterday, but service was friendly and te beer in good condition. Pride or Broadside on offer. Decent enough if I'm in the area. Now serving just one real ale, Youngs Special, permanently, but give me that in good condition (which is what it was) anyday over two sh*te beers. At �2.66pt for a 4.5% beer, it's good value for the area. Friendly barstaff.